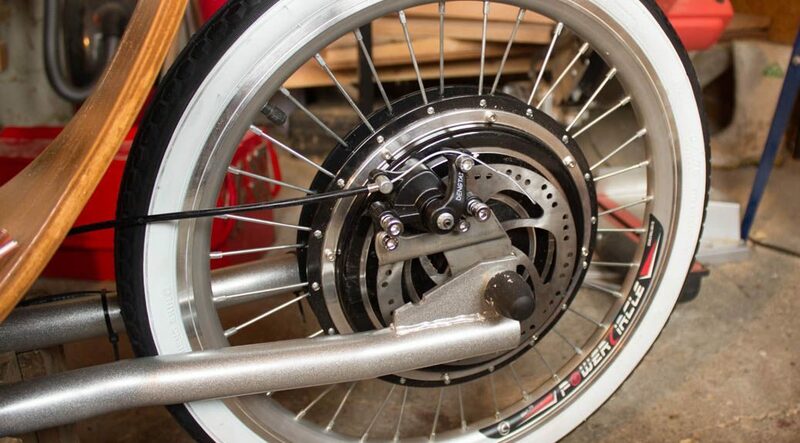 The major components that make up the drive train for the Velopetta have been decided. Take a look at the three main parts below. 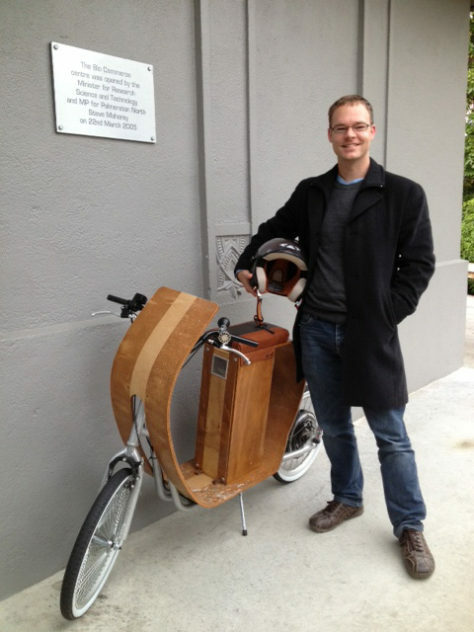 The Velopetta will be heavier than a standard ebike. 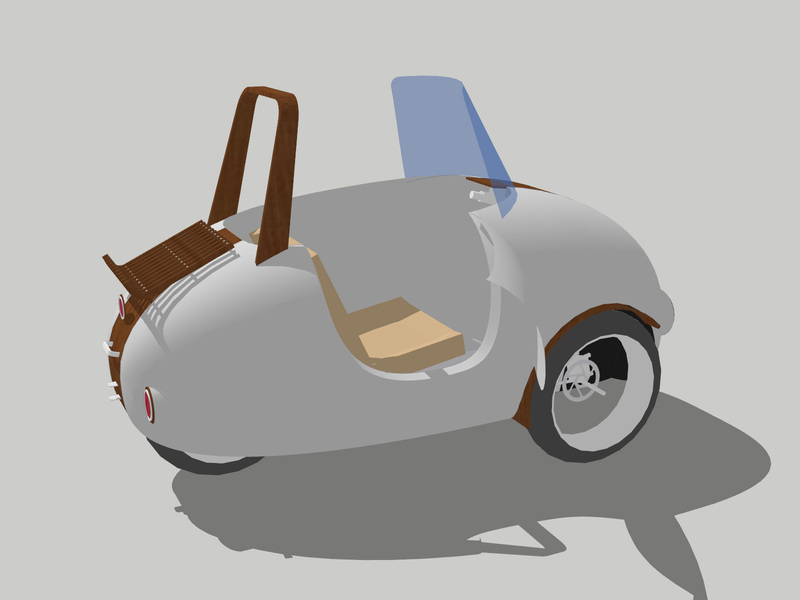 Being more like a micro-car than a bicycle, it carries the additional weight of the body shell and larger seat. The powerful Brose motor offsets the effect of this weight so that the driver doesn’t have to pedal harder than they would on a standard ebike. The Brose output of 90Nm of torque is 20% higher than Bosch’s top model, the Performance Line CX, which can output a maximum 75Nm of torque. 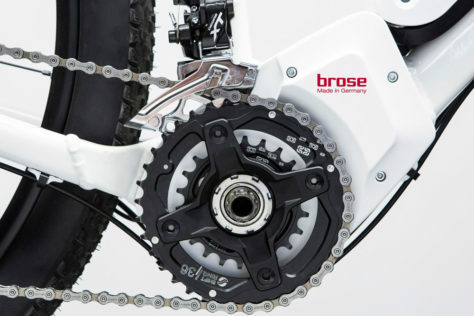 The Brose uses a very quiet belt drive internally. Most competitors use a system of gears, which generate more noise. 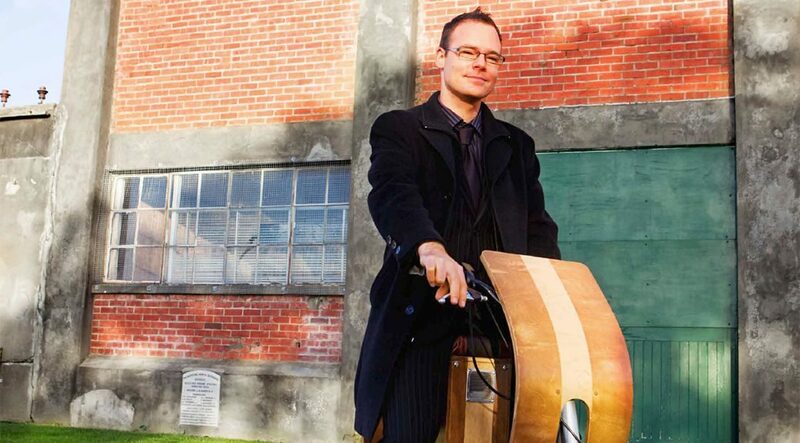 Unlike a standard ebike, any motor noise within the Velopetta reverberates within the body shell. Having the quietest in the market (according to Brose) is ideal. 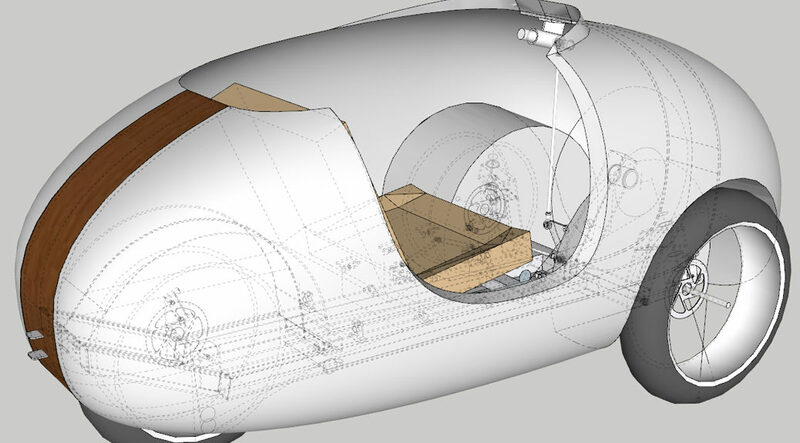 The prototype will use Brose’s 45km/h capable unit. Customers will have the option of a 25km/h version as well. 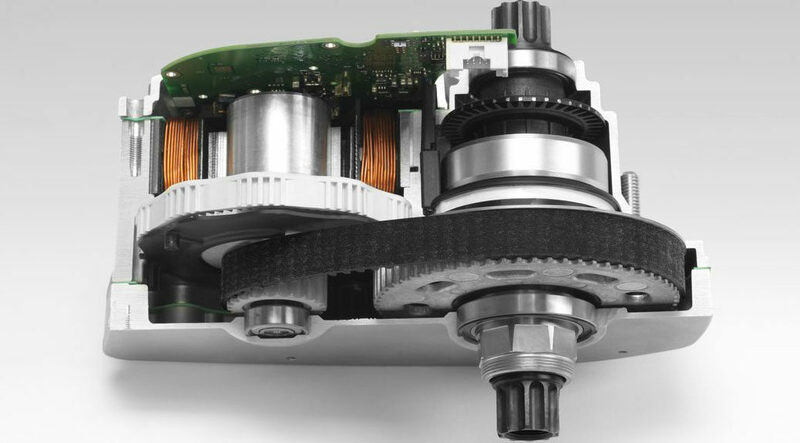 An advantage of the Brose motor is that it is not tied to a specific battery or even battery manufacturer. The manufacturer is free to choose a battery and display system that suits their requirements. The motor In the Velopetta will be paired with a 36V BMZ 14Ah Li-ion battery unit, though this will be upgraded to a larger capacity unit for production. A couple of neat features of BMZ batteries are the magnetic charging plug and the ability to charge the battery on or off the vehicle. 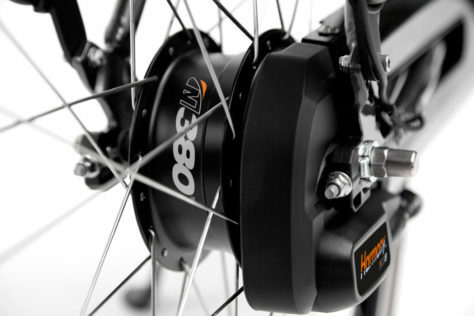 The NuVinci N380 is a type of internally geared hub. Unlike other internally geared hubs which have discrete gears, NuVinci make continuously variable transmission (CVT) hubs. A CVT has no gears, but instead can be smoothly set to any gear ratio within it’s range. The N380 has a gear ratio range of 380%, from 0.5 underdrive to 1.9 overdrive. The Velopetta will make use of the Harmony automatic shifting system. The driver can switch between automatic and manual transmission at the press of a button. In manual mode, twisting the grip shift will change the gear ratio, but in automatic mode the grip shift sets the preferred pedal cadence. The Harmony controller then changes the gear ratio automatically to maintain the preferred cadence. 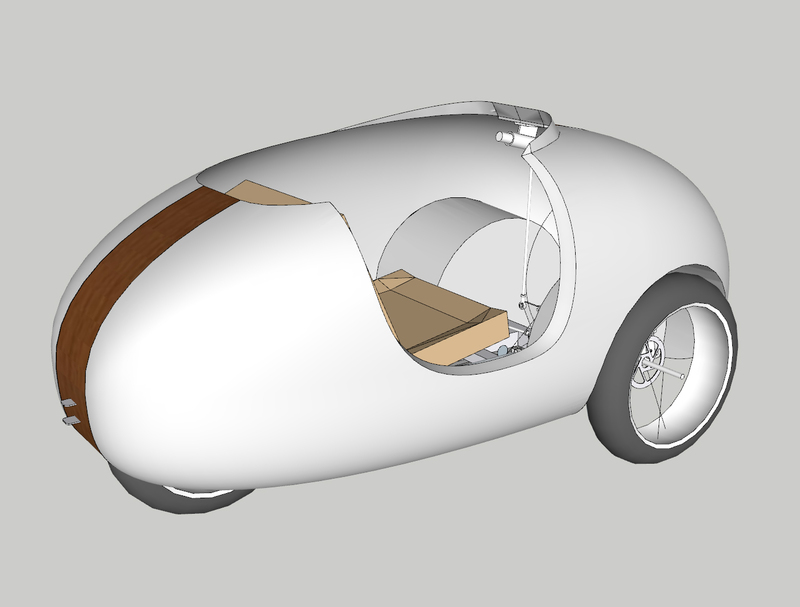 The design for the Velopetta prototype has progressed quickly during the past few months. The chassis design is based almost exclusively on rectangular aluminium section, with minimum number of joins for strength and simplicity. 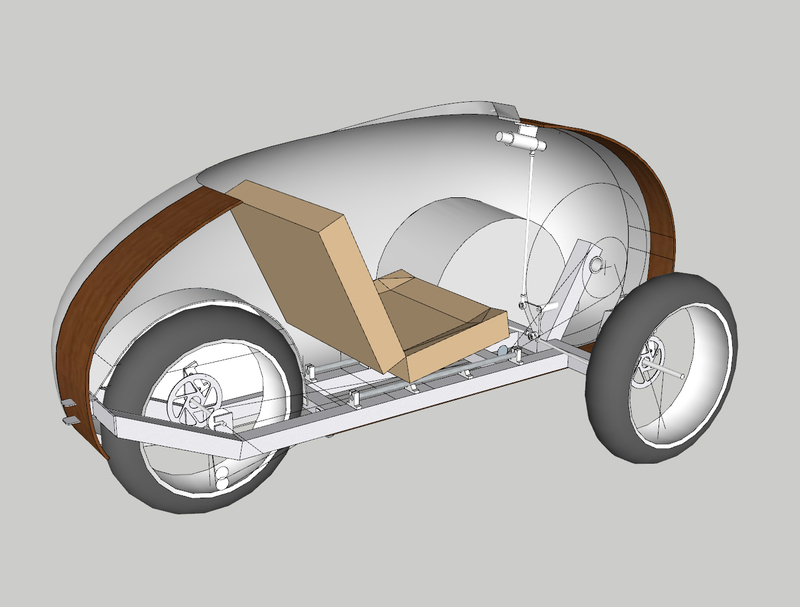 Once the prototype is complete and testing starts, parts will need to be redesigned and replaced as they fail or are improved. 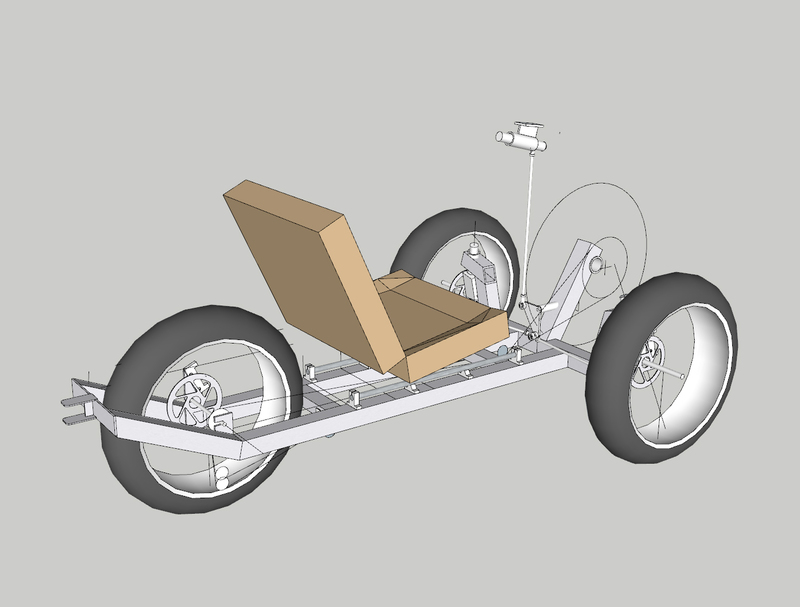 The focus of the first phase will be functionality, strength and safety, and the second phase will be weight reduction and finish. We’ve been working with a highly experienced local composites company, fibreglass developments, who will create the moulds and the carbon fibre body shells. They are helping ensure the body shape can be easily pulled from moulds with no undercuts that will prevent the part from releasing. The body will be moulded in two halves, with each half requiring a two-piece mould (also called a multi-part or split-mould). 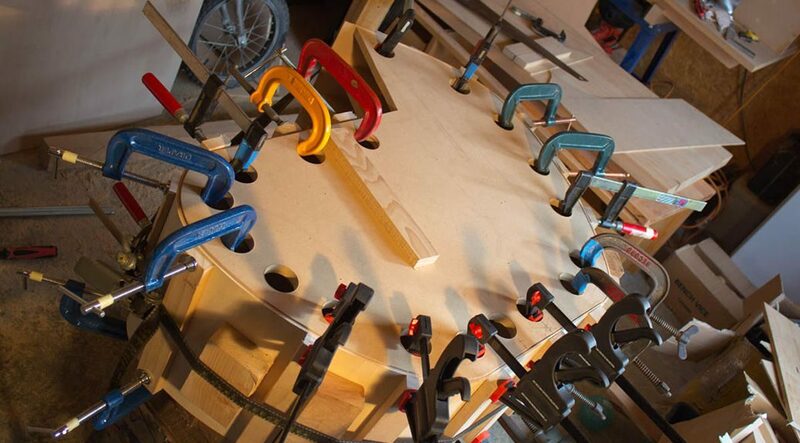 The two halves will be joined with a ‘racing strip’ of formed laminated timber. More timber parts will be used as framing to reinforce areas of the body, such as around the sill and door opening, both for strength and look. 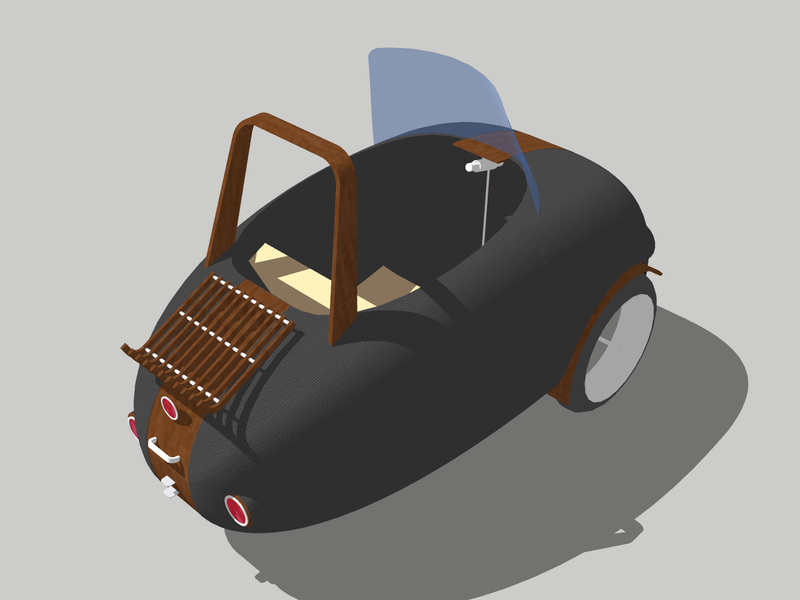 The biggest piece of design work remaining, that is actually causing a few headaches, is the soft-top design. It’s proving difficult to get a design that both looks good and provides enough clearance for tall drivers! 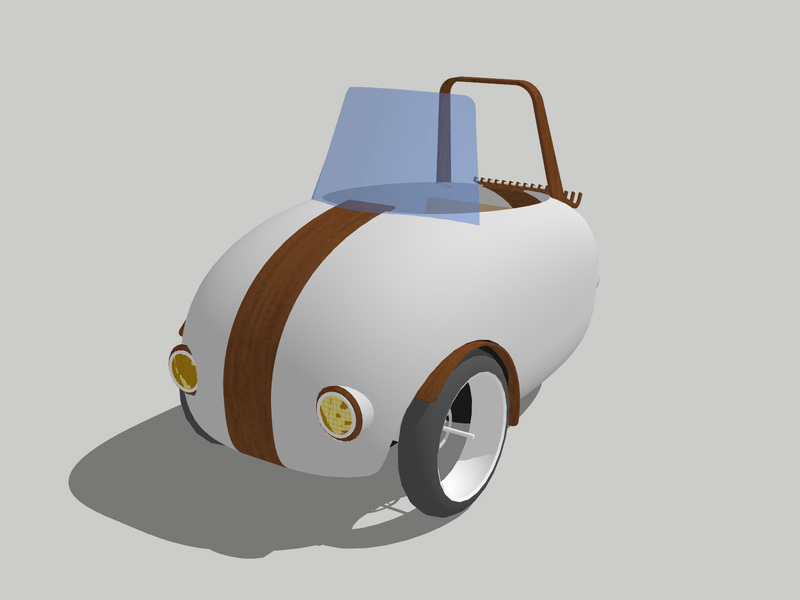 Here are some more images of the current design. Note that this is a work in progress and may still change before construction, but is pretty close to final. 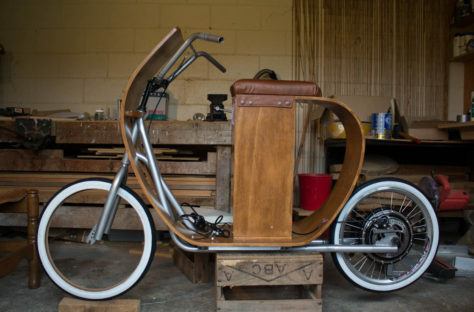 After the difficulty faced in trying to get the v2 certified for road use (which meant legally registering as a moped), we started to rethink the concept. Our vision is to create hand-built artisan electric vehicles, with attention to detail, quality materials, and with style – with soul. Whichever direction we go, this won’t change. But did we want to start again and build another prototype from heavier, motor-vehicle approved parts in order to comply with legal requirements? If we passed in New Zealand, would we be guaranteed of passing in others? USA? Europe? Other questions also emerged – especially after many hours of riding and commuting in all sorts of weather. Could we achieve better weather protection? 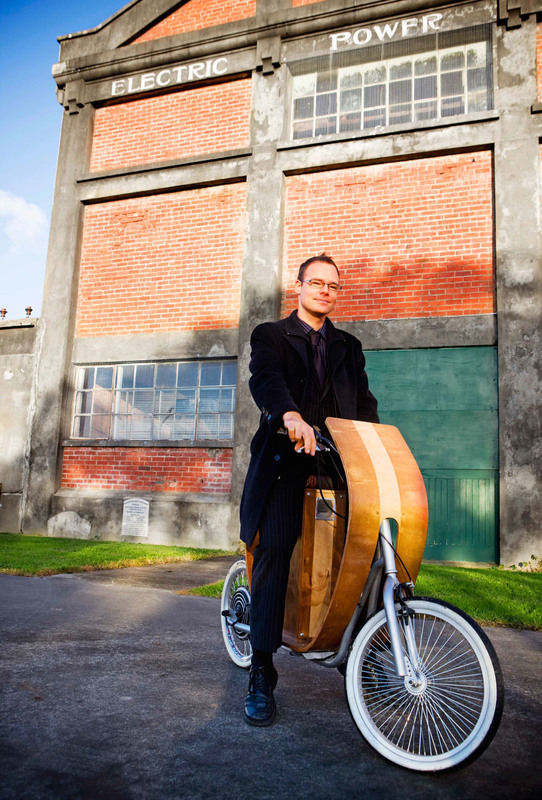 Could we make cycle commuting more comfortable and even more enjoyable? A micro-car style, electric-assisted pedal vehicle, legally classified as a bicycle in most countries around the world. 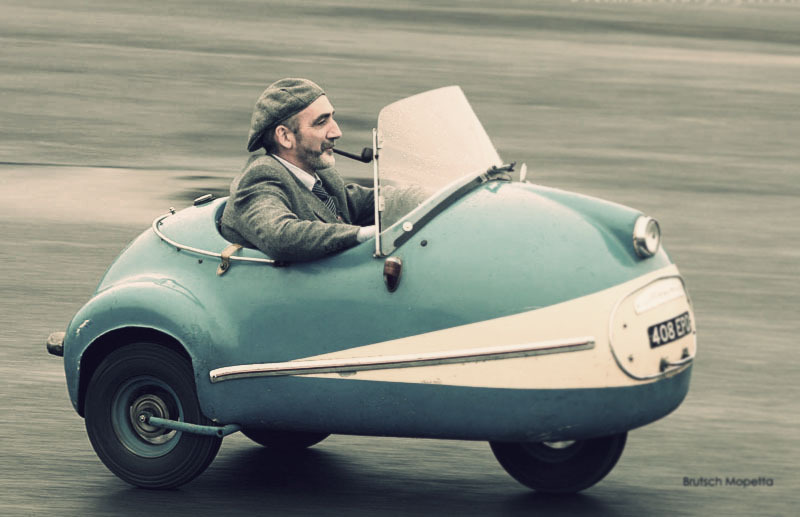 Micro-car history aficionado’s will immediately notice the resemblance of the Velopetta name with that of the infamous 1956 Brütsch Mopetta. Only a total of 14 of these tiny vehicles were ever produced, and of these only 5 are known to still survive. This resemblance is no accident. The 50cc Mopetta is a major inspiration for the overall design of the Velopetta. 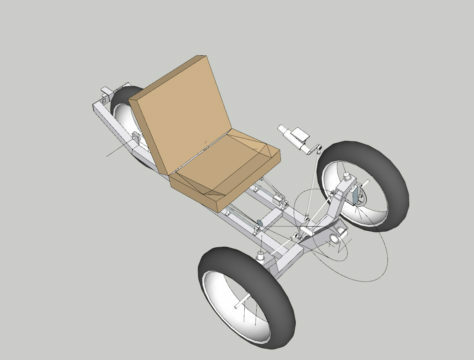 Our plan was for the production model of our v1 protoype to be sold as a road-legal scooter (or moped), so the next hurdle was to try to get the prototype certified. 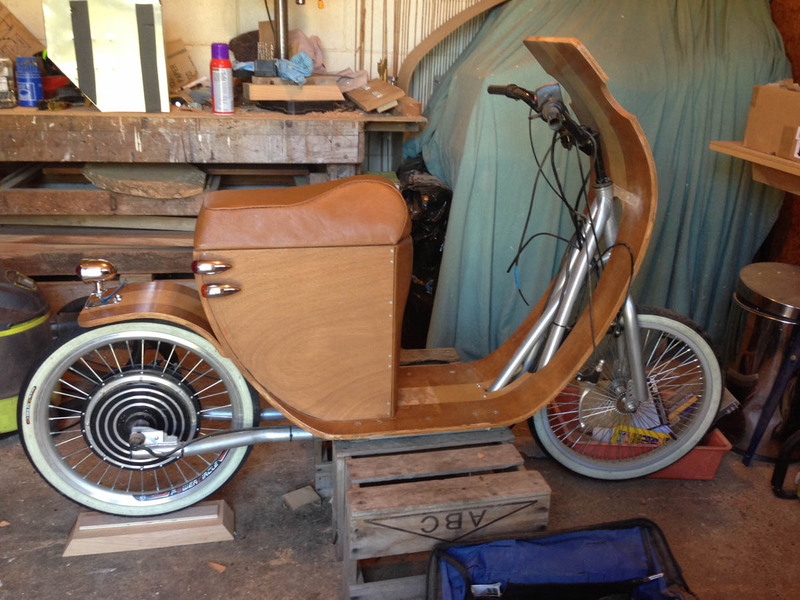 To meet moped certification in New Zealand, all the v1 needed was an auxiliary electrical system with indicators, front lights, brake lights and a horn. Oh, and a rear-view mirror. Or so we thought. Several improvements were also planned based on the many hours of riding over the past year. It was time for v2 (V-Electric #2). Unfortunately the initial attempt to certify the scooter was not successful. Because the basic componentry is fundamentally from a bicycle, it is not rated for motor-vehicle use and, we were told, would never pass safety standards, even for a moped. It would be too big of a job to modify the v2 to legal moped class. 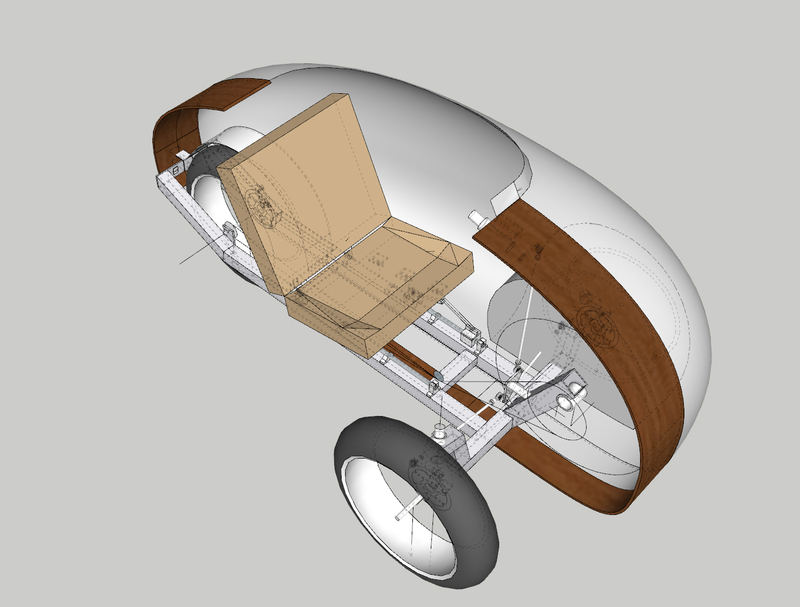 In order to comply we need to build another prototype from the ground up based on approved motor vehicle parts. 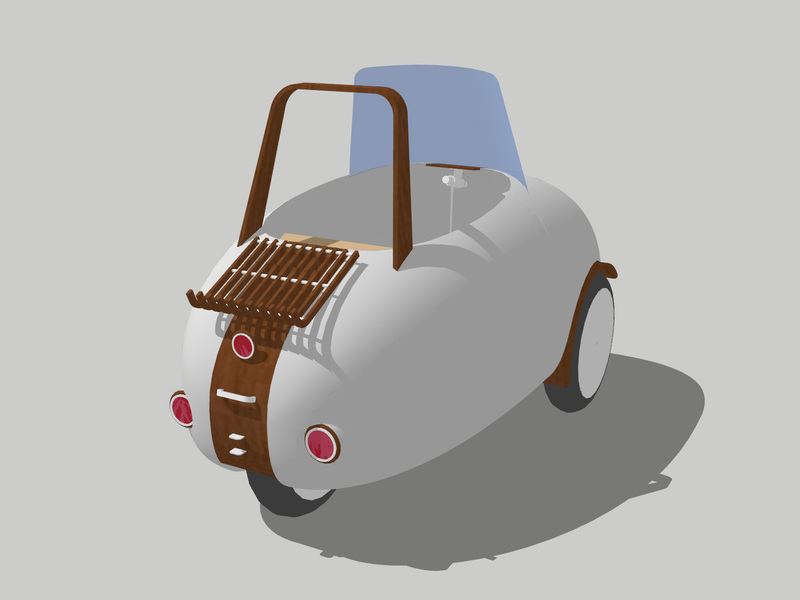 The prototype has been dubbed the “v1” (V-Electric #1). The v1 was never intended to be the production scooter – it wasn’t even intended to look like the final product. It was simply an experiment in construction techniques, and a first attempt at a minimalistic scooter design. 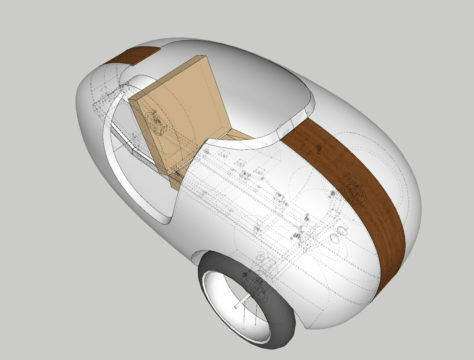 The shape was penned as one continuous line, from fairing to seat, that could be made from a single standard sheet (2440mm) with no joins. 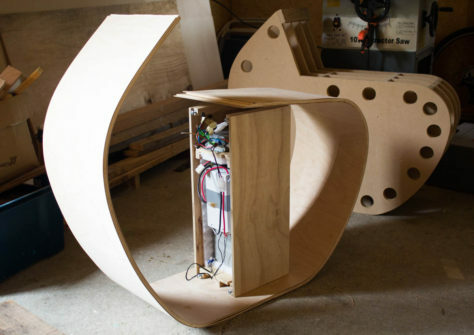 A form was constructed from MDF (medium density fiberboard), and then several layers of different timber were glued and clamped around it to create the basic laminated shape. All the electrics were housed in a single ‘battery box’ in stacked compartments. The box housed the battery, the controller, and even the battery charger. 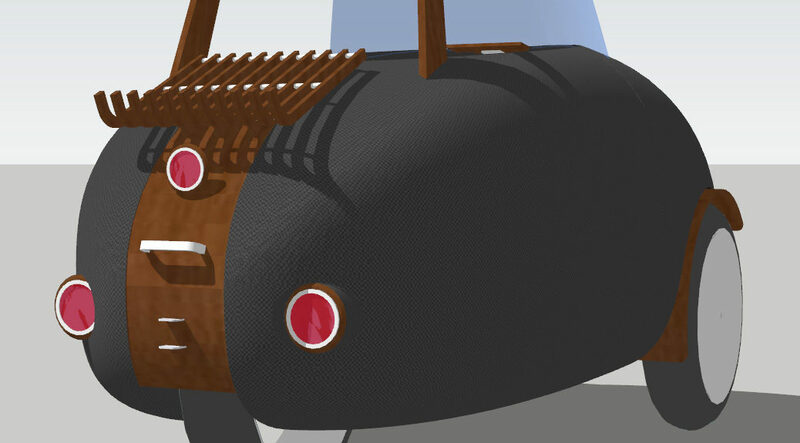 The box was topped by a simple hand-stitched leather and foam seat. A single socket in the back of the box allows a power cord to be attached for charging. As a prototype, the v1 was very successful. It proved that the combination of materials worked and added an element of sophistication, that such a machine was practical and fun, and that there was still a lot more work to be done! We are very proud to announce that V-Electric was the supreme winner of the 2012 Manawatu Innovate awards last night! 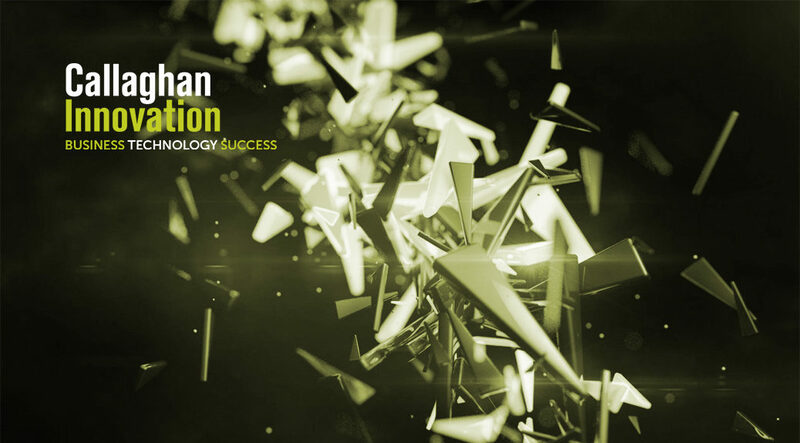 The Innovate awards are an annual local business innovation competition where competitors spend 10 weeks refining their business plans before pitching to a panel of judges, dragon’s den style. Mr Vullings outside the old Palmerston North Electric Power Station. Published with permission of North & South magazine.